Paul Kafasis, CEO of Rogue Amoeba software, explains how their best-selling streaming audio application sends music all around the house or office. 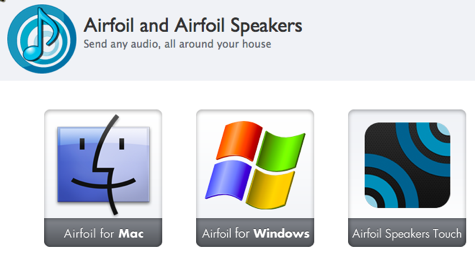 Airfoil and Airfoil Speakers Touch work with AirPort Express, AirPlay technology, Pandora and other streaming services, AppleTV, iOS gear, and many other devices. This interview is longer than a typical AppMinute episode. We hope you listen all the way through. This entry was posted in AppMinute Podcast, Speakers and tagged in Airfoil, Airplay, AppleTV, iOS, Pandora, Paul Kafasis.